Salt Water Chlorination is a process that uses dissolved salt as a store for the chlorination system. Any chlorine pool can be turned into a “saltwater pool”. A salt cell uses electrolysis to break down the salt resulting in hypochlorous acid and sodium hypochlorite. In other words, a saltwater pool is not chlorine-free. 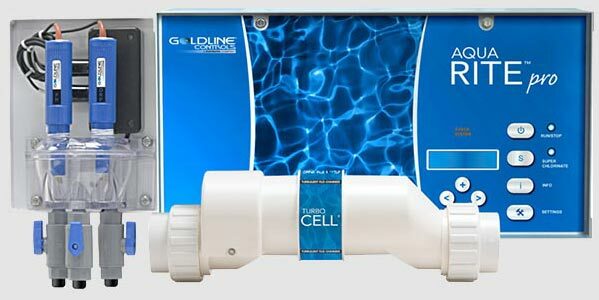 A saltwater pool uses a chlorine generator instead of a direct addition of chlorine. You may ask “Why would I want a saltwater pool here in Corolla or the Northern Outer Banks when the ocean is only a short walk away?” There are plenty of benefits for adding a salt system to your pool. Most people prefer swimming in saltwater pools because of these benefits.